The Huffington Post suggests that ‘Healthier Real Estate’ is trending. So how can home builders, real estate investors, and homeowners create healthier homes and living spaces? Building on the trend of going green, and thanks to new innovations, it is becoming ever more possible to create healthier homes and estates. Helping the planet is great, but there is a lot that can be done to create healthier environments for ourselves, kids and clients right at home, now. This isn’t just smart and a great thing for all of us to aspire to, but can also help increase productivity and enhance lifestyle. Before worrying about enhancing a property with healthier elements, it’s smart to check the current status. There are sadly many health threats in current homes around the United States. It could be properties with lead paint and asbestos, or even mold. More recently, we have had the Chinese drywall catastrophe. On more than one occasion entire, new home communities have been found to have been built on contaminated ex-military grounds. So find out existing issues and tackle those before investing more into new home improvements. Airflow makes a massive difference in healthy spaces. In some cases, it is better to simply rip out entire old systems, including air ducts, to replace them with new, more energy efficient ones. This doesn’t have to be as expensive as it sounds, and financing is normally available. Many investors and homeowners may find they can get local grants or at least low interest preferred loans for making these types of improvements. The results can be dramatic. New systems can also substantially slash energy bills. This could even go as far as 50% for those in sunny areas like SoCal or South Florida, where AC is often run constantly. Energy bills are only going up. Turning to solar can help in creating healthier homes, reducing bills, and being more environmentally friendly. As with the above; looking around a little could uncover a variety of rebates, grants or low cost loans to support these changes. While this may not be a sure fire way of always ensuring the most superior quality of water, it could make a massive difference. The Huffington Post has also reported that California is currently facing the worst drought in 1,200 years. Last year’s water contamination crisis in the east that went unreported to users for days only heightens awareness of the benefits of controlling your own water supply. Much can be done to harvest your own water. In addition to other healthier flooring and wall coverings, glass has been trending. Glass is considered green, and does not absorb bacteria. It’s a lot stronger than many realize. Not only can it be used for windows and walls, but floors, walkways and counter tops. Plus, it looks great, and maximizes natural light to cut utility bills further. 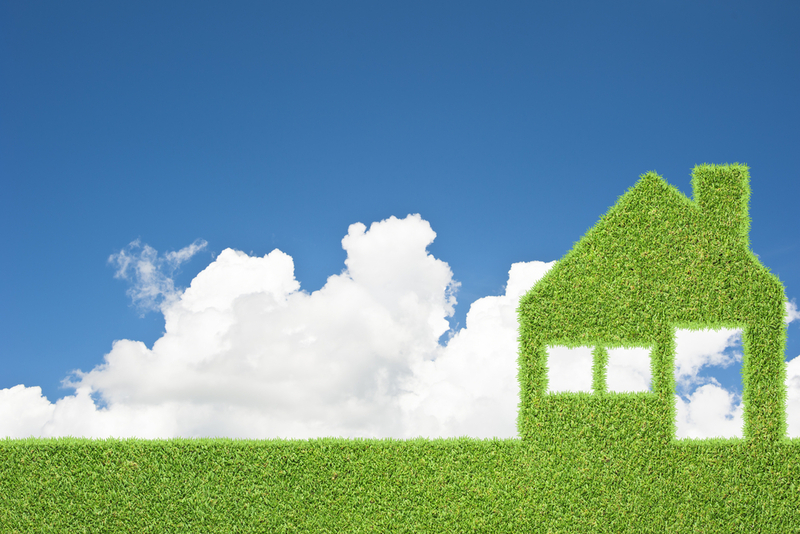 Consider focusing on reducing the carbon footprint of your home. Even taking out the trash and taking the recycling to the curb still has waste piling up, and burns more precious resources. Consider upcycling at home, donating to Goodwill, and composting in your backyard. Organic gardens can produce healthier food for personal consumption, as well as help reduce the pollutants put into the ground. Water gardens can help the watershed. Some are even finding aqua-ponics an incredible solution for creating self-sufficient water supplies.